Pastor Petey grew up at Victory and has served in all areas of ministry, including kids, youth, and worship. He became a Pastor at Victory in September 2014. 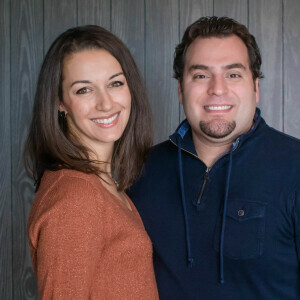 He and his wife Christina have led Victory Youth ministry since 2011. Christina also leads Victory Kids Ministry. They are both passionate about leading, serving, and building the next generation. Petey and Christina have one daughter, Mia. Petey is a musician at heart. Drums are his main instrument but he loves guitar, bass, and singing as well. Petey and Christina enjoy movies, family time, and weekend trips around New England. Christina tries hard to include Petey on her love for water sports like kayaking and paddle boarding, but it usually turns out to be a soaking wet experience for one of them…we won’t say who ;).